Like any educational institution, a “school of poetics” will train you to write in the ways most compatible with their canon. Once graduated and if sufficiently cloned, the school may even offer job or publishing connections, but ONLY if you are a new representative of their vision. Should you deviate from their approved path, you then become competition and are blacklisted. The objective of this practicum will be to take poetics out of school and back into a community, where each writer is cherished for their individuality, not their skill in conformity. This workshop will be ‘at cost’ because each participant will be both teacher and student. The real problem with academia is not the politics but the programming. Attending a poetics school is a long commitment during which as part of the educational experience a student will naturally develop a ‘voice’ similar to those around. As an exercise, emulating other poets is extremely valuable in understanding your own ‘voice’. As a long-term (multi-semester) homogenizing practice, it is a writer’s suicide. Poetics of the Real World will look at the psychological aspects of writing, notably how environment influences style and content. We will examine the influence of actual physical schools such as Iowa and Naropa, as well as cultural influences such as blues, rap, and slam. We will discuss the evolution of historical forms and examine theories of free verse under the notable influence of Charles Olson’s essay on Projective Verse. More philosophical discussions will revolve around the role of the poet in the modern world, who is your audience, writing for the page vs. the stage, writing as a therapeutic &/or spiritual practice, collaboration, investigative poetics, eroticism, shock value, cliché, and the multiple embedded metaphor. Poetics of the Real World will be conducted as a Socratic circle, emphasizing participation, compassion, and the diamond sword of discrimination. It will at times be emotionally challenging. We are there to work, to tear apart what we build to find the gems inside. This group will be about getting down to the nuts & bolts of each individual’s unique voice, not creating polished pieces. We will learn to recognize what is unique about the writing of each individual in the group, but we will also examine the ways in which we are commonplace. We will work will basic ideas such as breath, line breaks, and punctuation, and share process techniques such as writing to rhythm or rhyme, placeholder words, directed stream of consciousness, etc. We will discuss, work with, and master editorial tools such as the ‘thesauric scalpel’ and the S.A.W., as well as the dreaded Chain-S.A.W. Being a wordsmith (including poets, songwriters, storytellers, bloggers, prose), able to absorb and present compassionate criticism, are the only prerequisites for this group. Writing assignments will be given each session; bring a copy for each group member. Be punctual in attendance and completion of assignments. Be prepared to write, edit, and participate in discussions. We will begin by passing out copies of completed assignments, reading the work, and making brief notations. We will then discuss each individual’s work, honing our skill at giving practical editorial advice. The second phase will likely be an in-session writing assignment or discussion of a particular topic related to the earlier editorial discussion. The third phase of each session will be a brief lecture and extended discussion of a primary topic of the week. 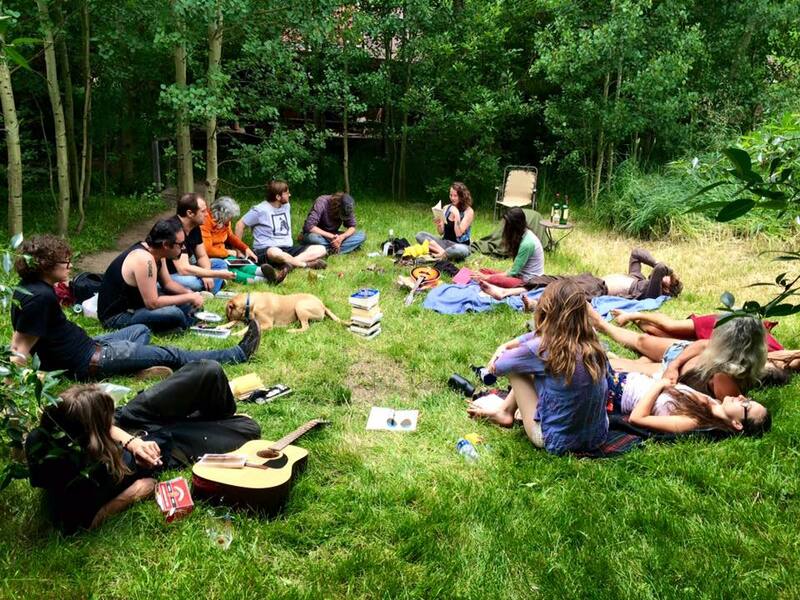 Sessions will be 2-3 hours in duration, probably held weekly at a time/place in Boulder selected for the convenience of all members.